Can Grape Seed Oil Benefit the Skin? Grape seed oil is often extracted from seeds of grapes used to make wine, explain Carol and David Schiller in “Aromatherapy Oils: A Complete Guide.” This unscented oil is added to skin care products and is used as a base to dilute essential oils. Grapeseed oil can be used on its own as a cooking, massage or moisturizing oil. Grape seed oil soaks into your skin quickly, instead of leaving an oily coating on top of your skin as some oils do. This characteristic makes it a popular choice as a massage oil or skin moisturizer. Although it is a light oil, Purchon advises against its use if you have extremely oily skin. Ingesting grape seed extract might ward off free radicals that can lead to aging of the skin. It does this by raising the amount of antioxidants in your blood that fight free radicals, according to the University of Maryland Medical Center website. The antioxidants in grape seed extract have been touted to safeguard the elastin and collagen in your skin, which also fights off the aging process, UMMC states. More research is needed on these claims. With the help of grape seed extract, your body might repair wounds on your skin more quickly and with fewer scars, explains Chandan Sen, co-author of a 2002 study at Ohio State University, published in "Free Radical Biology and Medicine." 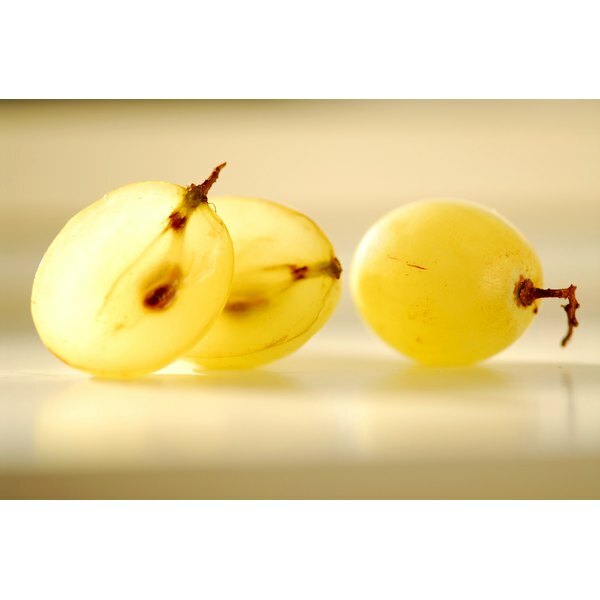 The researchers applied grape seed extract to wounds on the skin of animals and humans and found that wounds treated with grape seed extract healed more quickly that wounds that did not receive the extract.